Birdcage Knob. Delicate detail for your elegant dicor. An old-fashioned influence with a bold impact. Classic rectangular Richelieu knob. Elegant frame with beveled edges on a tapered base will make this a beautiful addition to your kitchen or bathroom. This classic square-shaped knob by Richelieu will liven up the look of your furniture and cabinets. The dotted details make a subtle design that will compliment any style. Classic square knob with a flared base. Perfect for furniture and cabinets with simple clean lines. The raised pyramid shape works well with all sorts of dicors. This traditional rectangular knob is the perfect complement to any dicor. Its sleek appearance and refined edges will set off cabinets and furniture with similarly clean lines. 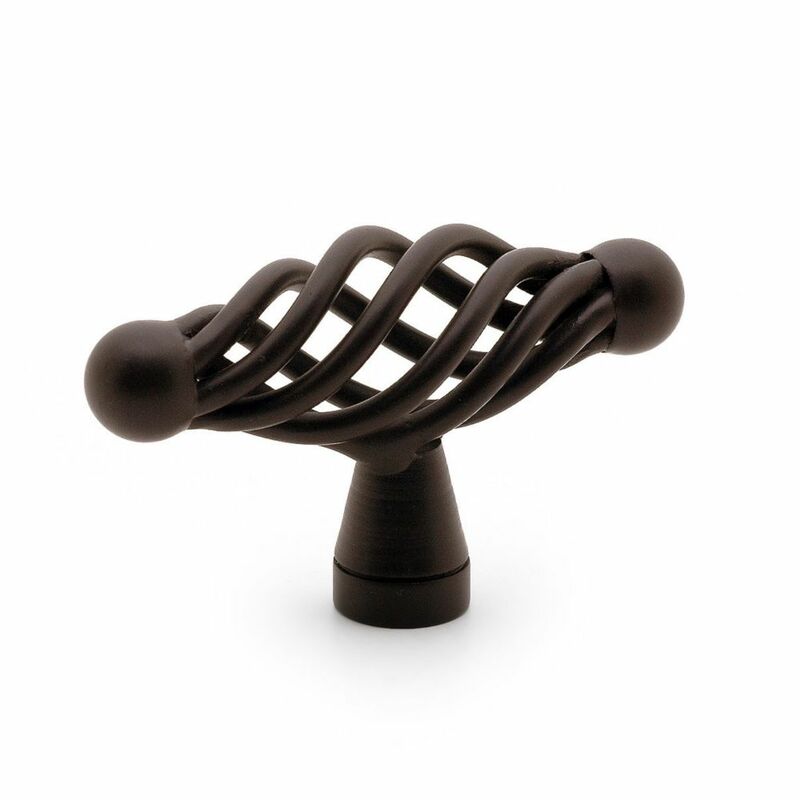 Traditional Metal Knob Oil-Rubbed Bronze - Champs-Élysées Collection Birdcage Knob. Delicate detail for your elegant dicor. An old-fashioned influence with a bold impact.